The Internet is clearly changing the way we consume information - but is it also altering the "wiring" of our brains? 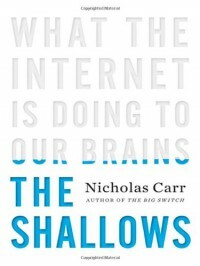 [a:Nicholas Carr|151353|Nicholas G. Carr|http://www.goodreads.com/images/nophoto/nophoto-U-50x66.jpg]'s new book ([b:The Shallows What the Internet is Doing to Our Brains|6966823|The Shallows What the Internet Is Doing to Our Brains|Nicholas G. Carr|http://photo.goodreads.com/books/1264537321s/6966823.jpg|7205526]) is an intriguing look at the Internet's effect on our thought processes - and how it might actually alter the way our brains work.Carr's carefully researched book is not alarmist. Instead, it's a level-headed look at current research - including emerging concepts like neuroplasticity. The result is an interesting peek into brain function, thought, learning - and McLuan's assertion that the "media is the message. "The book follows on the heels of Carr's provocative - and widely circulated - story in The Atlantic titled "Is Google Making Us Stupid. 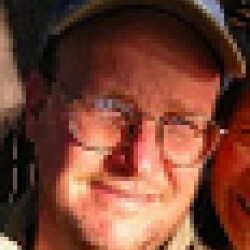 "Carr suggests that every new information technology (oral storytelling, handwritten books, printed books, electronic media, digital media, etc) imposes its own structure on our thought processes, and that the Internet is no exception.Using studies for fodder, Carr poses some interesting questions - and provides plenty of substance to chew on.The Shallows is a powerful read from a thoughtful writer, and while this book will probably have trouble finding an audience, anyone interested in human behavior - from psychologists to marketers - should give it a read.